Posted on April 01, 2016 at 4:00:00 am by Mike F.
The Avett Brothers were for a long time a band I heard about but never actually heard. This is weird for two reasons: (1) they&apos;d been recommended to me by someone whose musical taste I trust absolutely, and (2) they&apos;re exactly the kind of band I like, branching not far from Dave Matthews Band and Ryan Adams on the musical tree. That finally changed Valentine&apos;s Day 2013, when I saw them perform at the Embassy Theatre here in Fort Wayne, Indiana. Man, the energy these guys give off on stage is raw and vital and real, and I was a fan from the very first song. In preparation for the show, I bought a couple of their CDs; after the show, it didn&apos;t take much time for me to own every record in their catalog. 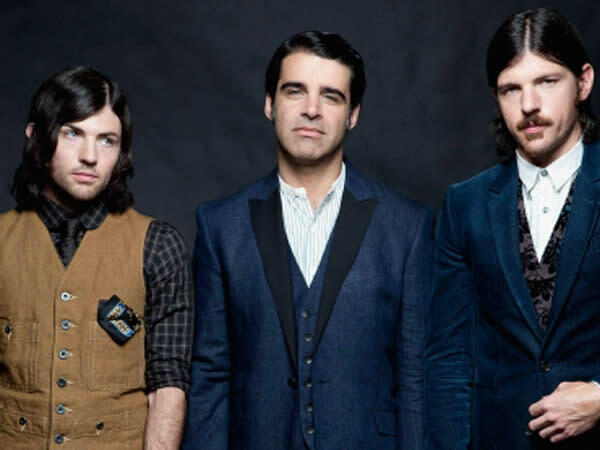 I&apos;m sure, then, you can understand how excited I am that The Avett Brothers are returning to the Embassy Theatre on Tuesday, April 19 at 8:00 p.m. to celebrate the end of the theatre&apos;s two-year-long renovation project. "Left on Laura, Left on Lisa"
These songs should give you a taste of what makes The Avett Brothers great (and you can find them on Spotify). We&apos;re just a little less than a month away from the concert, and I can&apos;t wait. As I was doing a little research for this post, I discovered The Avett Brothers have a new album, Pure Sadness, coming out in June, which means we should get to hear some new tunes at the show. Tickets are still available and range in price from $35 to $70. I cannot say enough good things about The Avett Brothers live, and an intimate venue like the Embassy is the perfect place to see them. I&apos;m actually catching the show with the person who recommended them to me those years back, who, ironically, has never seen them live. I&apos;m glad I can finally repay her.